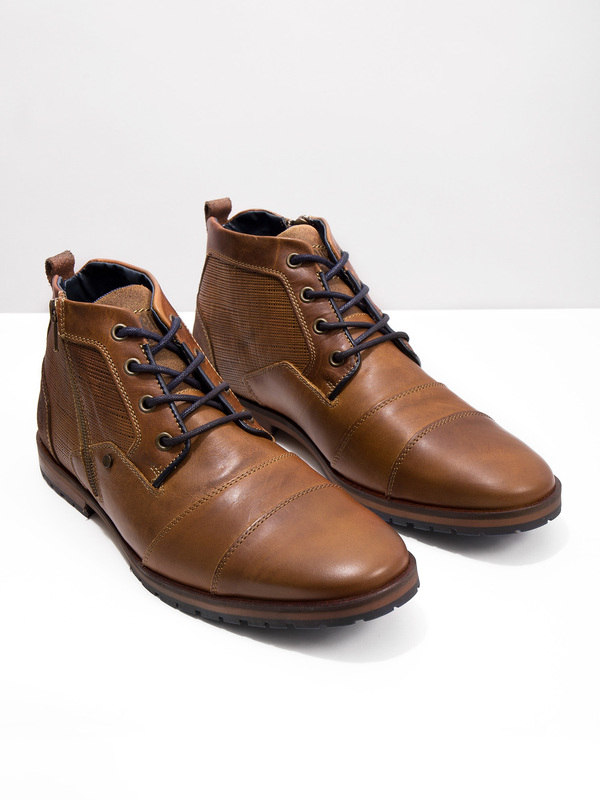 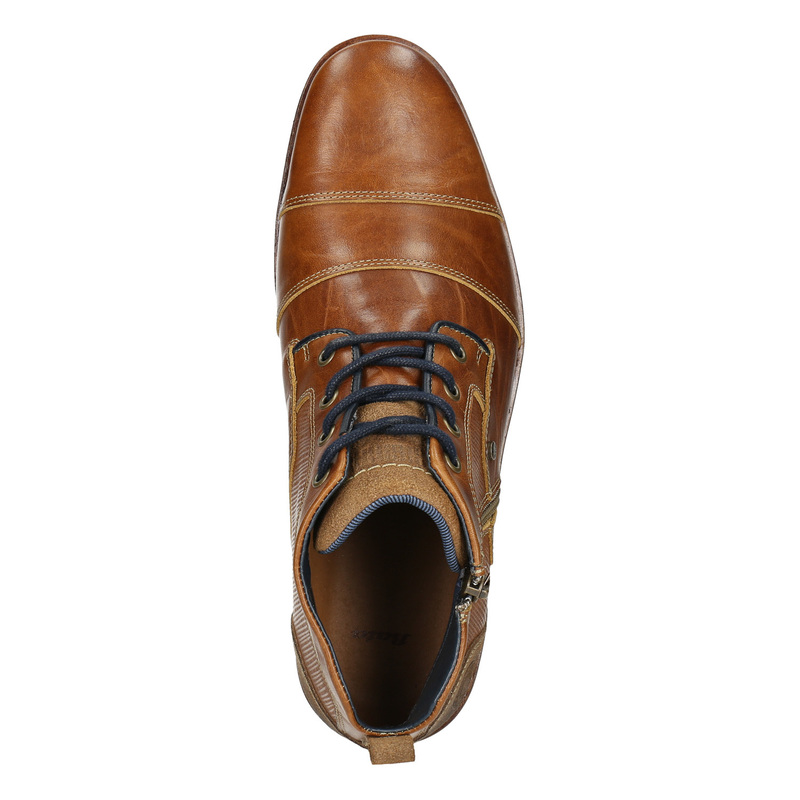 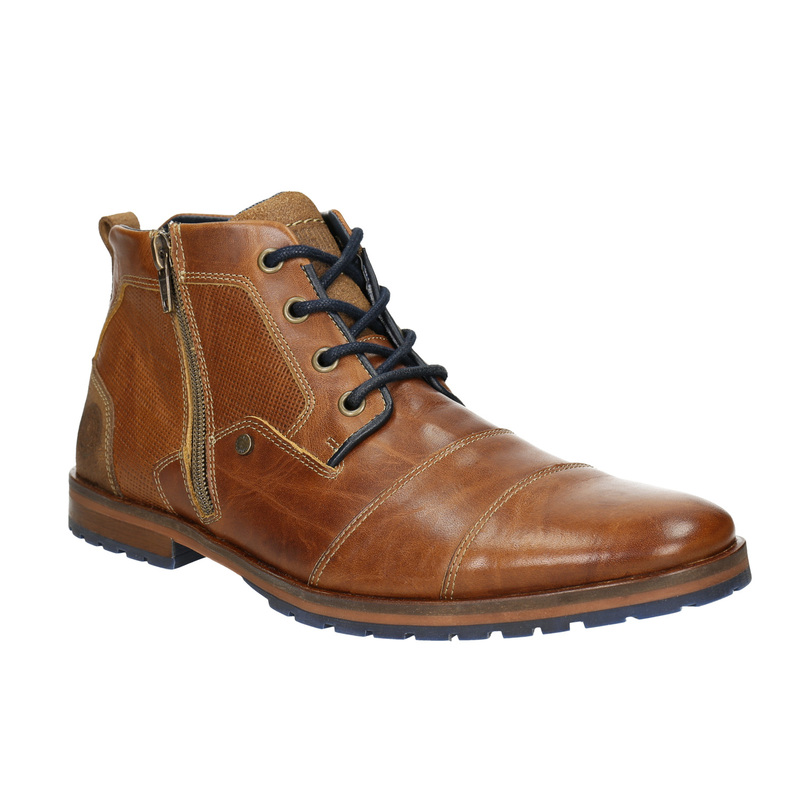 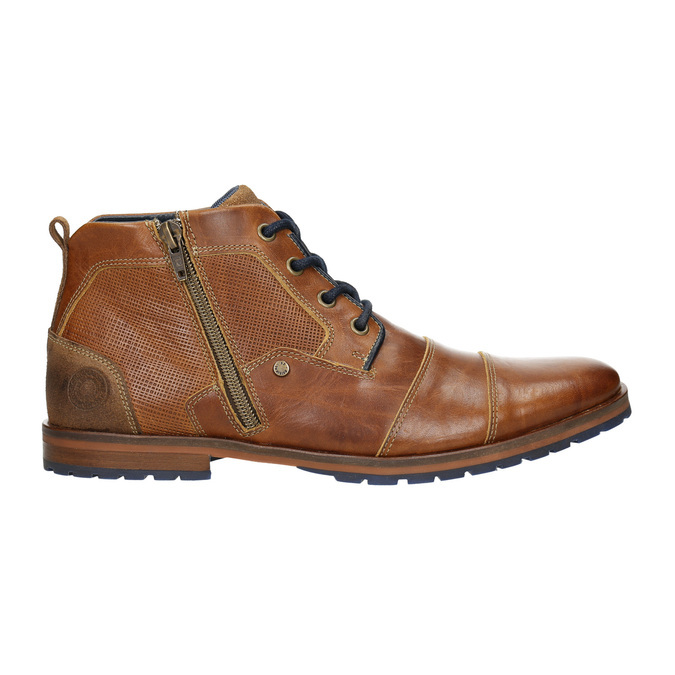 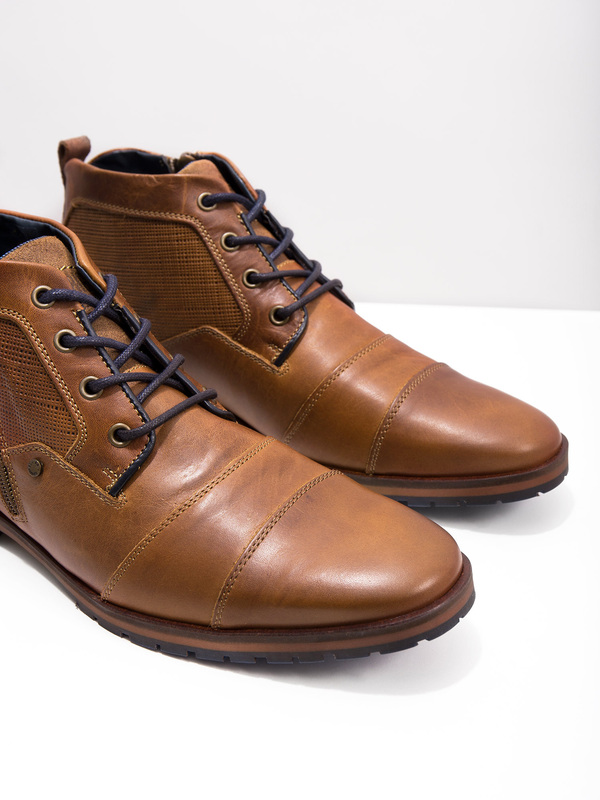 These men's leather above-the-ankle cut boots have a casual brown shade. 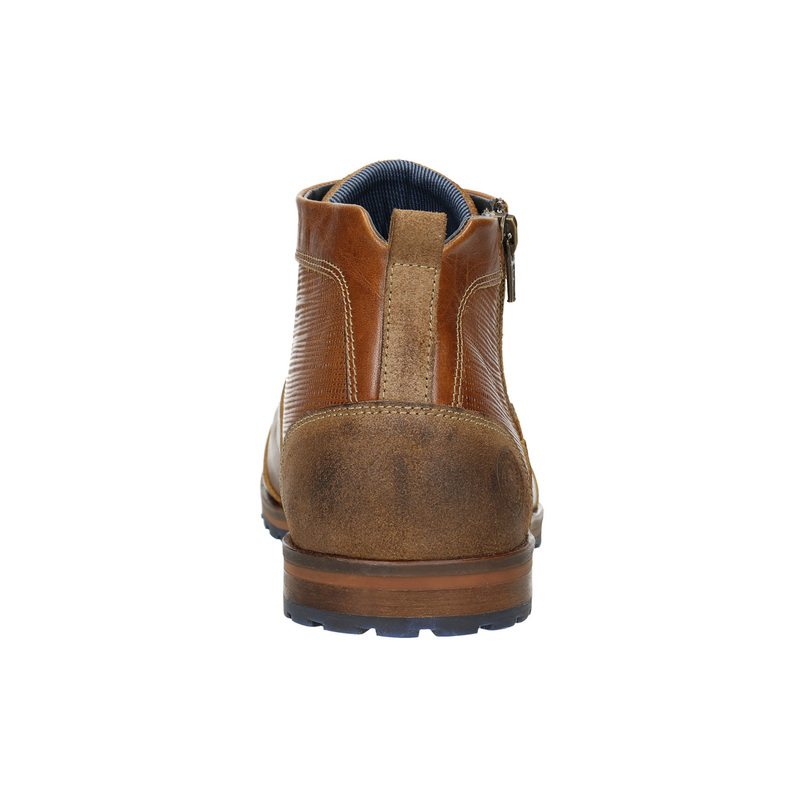 The upper is decorated with original patterns and stitching. The distinctive zipper on the side makes walking easier. 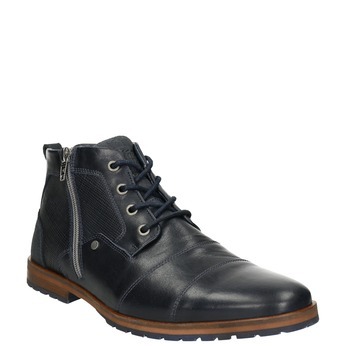 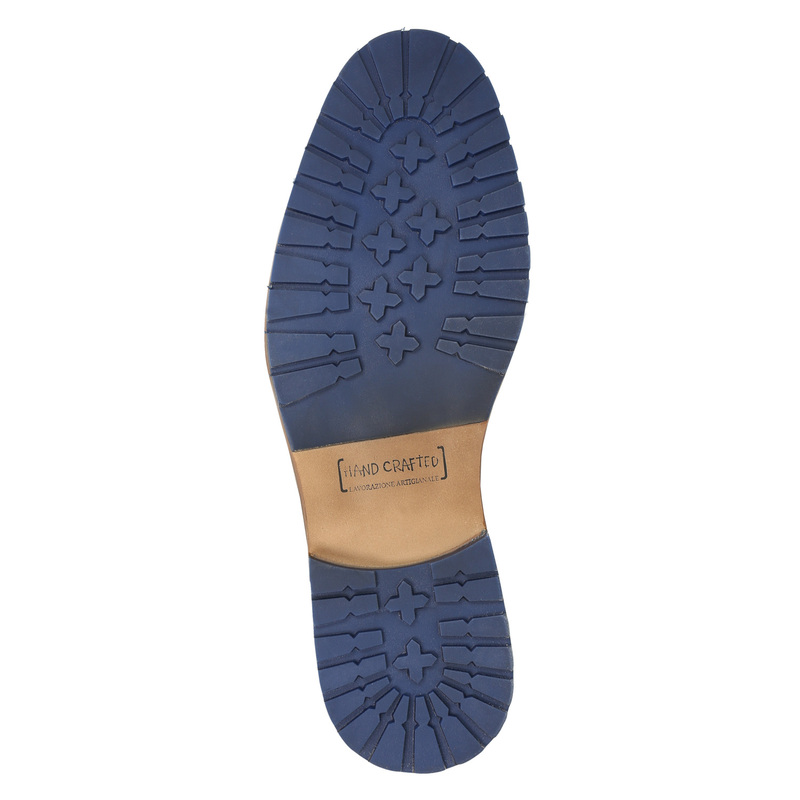 The dark blue laces match with the textile lining and serrated sole. 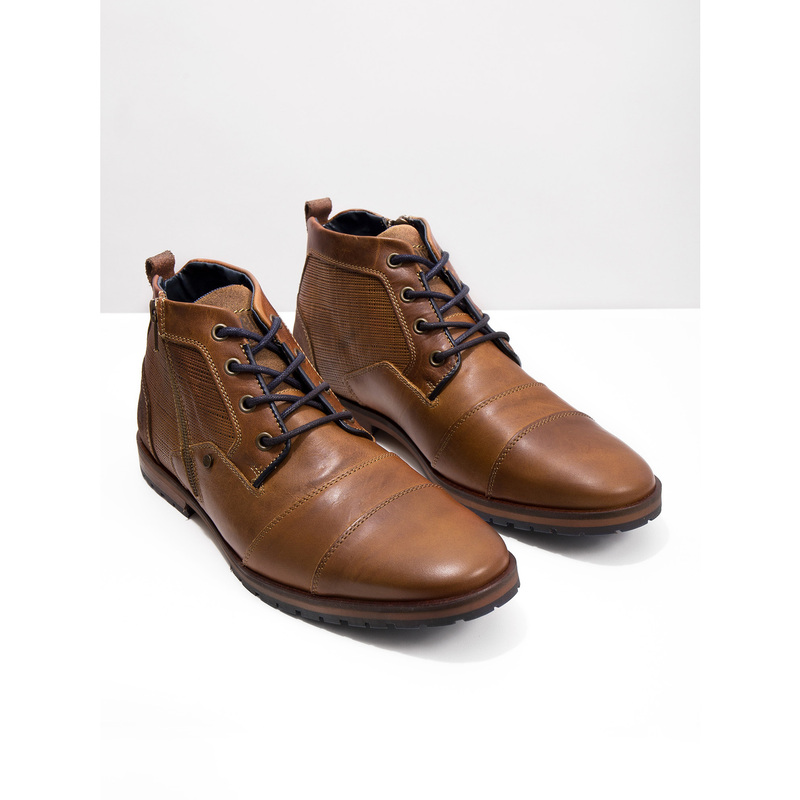 The ideal piece for colder days. 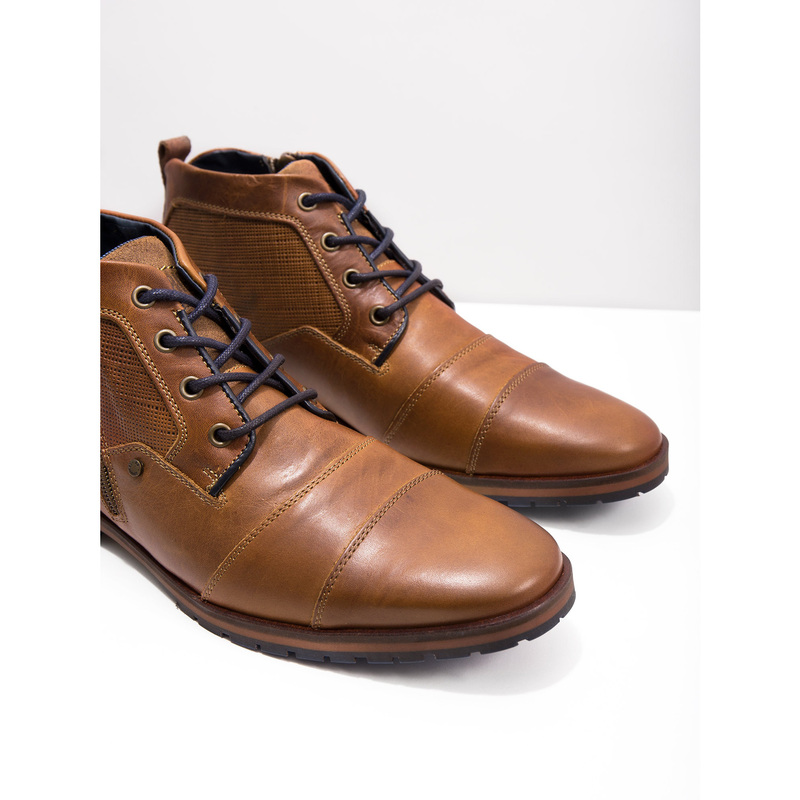 Combine with Chinos trousers or straight cut jeans.